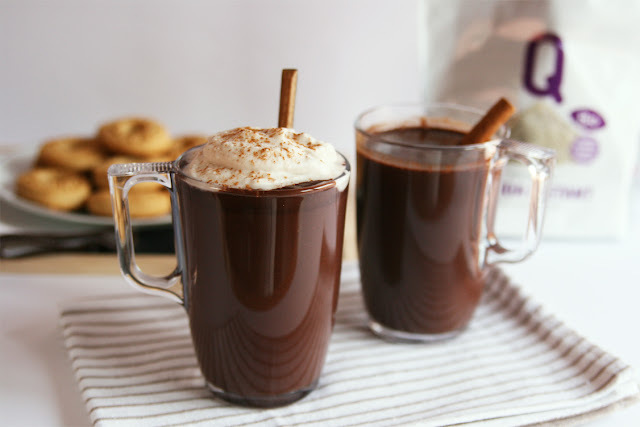 Who doesn't love to enjoy a comforting cup of hot cocoa during these cold days, specially when you are at home wrapped up in your blanket and watching your favorite tv show...it tastes so much better! This is not a regular hot cocoa, it's more thick and super luscious topped with a generous dollop of coconut whipped cream and some cinnamon. I used instant quinoa (quinoa powder) to make it thicker and it looked and tasted like true hot chocolate but healthier: low-fat, no refined sugar and an extra touch of nutrients and proteins thanks to the quinoa powder. 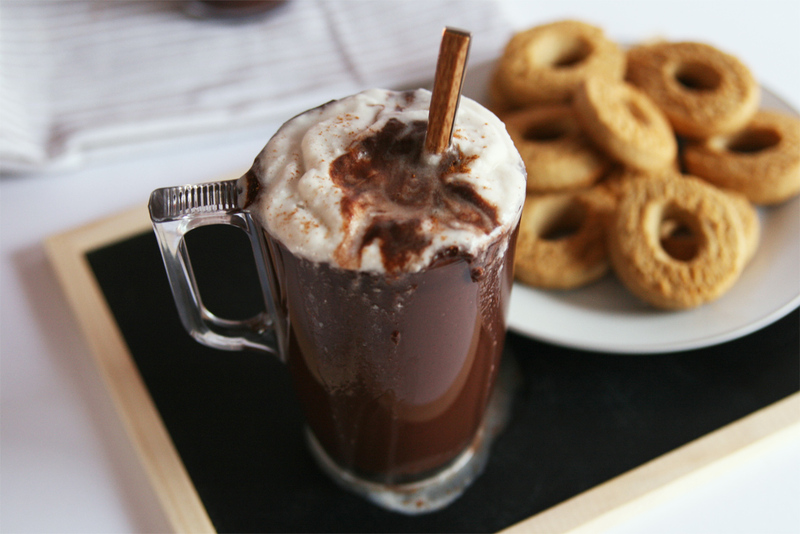 By the way, for those of you who doesn't know the difference between hot cocoa and hot chocolate I'm gonna tell you something super easy to remember (even though sometimes I confuse both terms too): hot cocoa is made with cocoa powder and hot chocolate is made with dark chocolate or its shavings, melted with milk. You can choose to add cream or not to both of them, and of course other ingredients like espresso coffee, vanilla extract, cinnamon, etc. 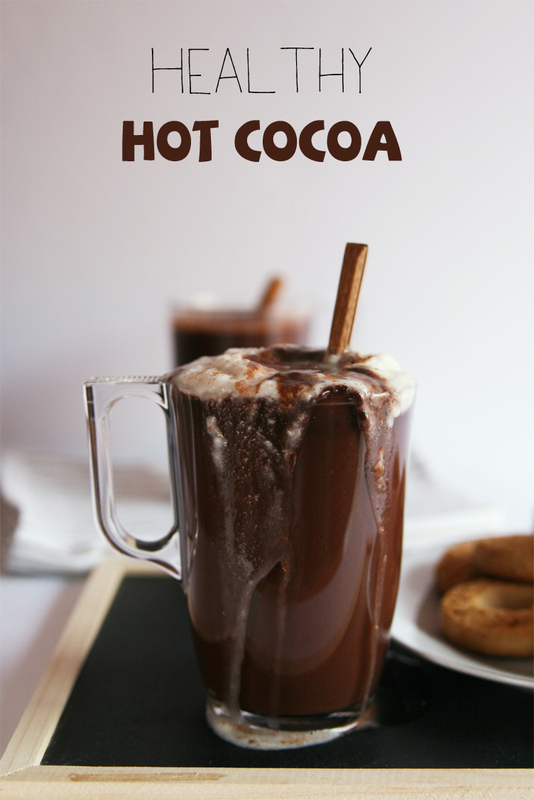 So give yourself a break from all the crazy christmas shopping and recipe testing, prepare this hot cocoa and relax! 2 tablespoons agave syrup (or maple syrup), more to taste. 1 cinnamon stick to decorate. In a small bowl stir the quinoa powder with a tablespoon of the soy milk until well combined, the quinoa should be completely dissolved. Pour the rest of the milk in a medium-size saucepan over medium-low heat, add in the quinoa mixture and cocoa powder, stir well until thoroughly incorporated. When the cocoa powder is completely dissolved stir in the agave syrup, espresso powder and cinnamon, slowly whisking by hand with a wire whisk. 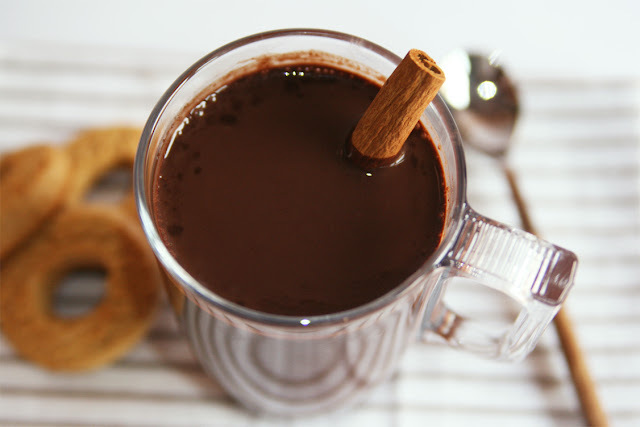 When the mixture begins to boil immediately turn the heat to the lowest and stir a bit more to ensure the cocoa is smooth, thick and lump-free. If desired (I highly recommend it!) 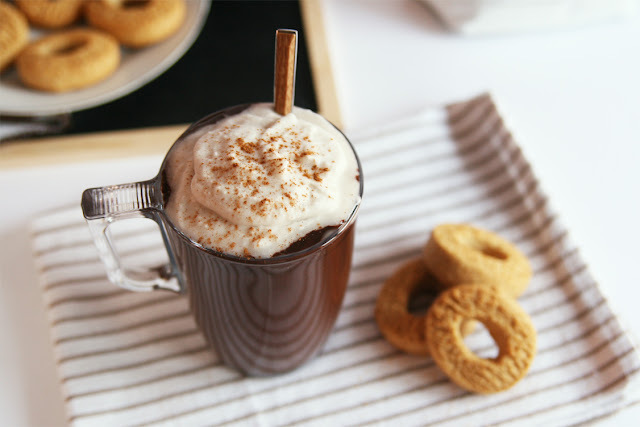 serve with whipped coconut cream, other cool decorations can be: a cinnamon stick, a marshmallow in the center or a big layer of milk foam/frothed milk like a cappuccino. · First of all, choosing the right brand of full fat (avoid the light/low fat type!) coconut milk is crucial. Since there are lots of different brands and some of them can't be found everywhere I'm gonna tell you one easy tip to find a good full fat coconut milk to make whipped cream and ice creams: go for the brands that have a thickening agent like guar gum or xanthan gum. · It is super important to chill the can of milk in the fridge overnight and also to place the mixing bowl in the fridge around 10 minutes before making the cream. 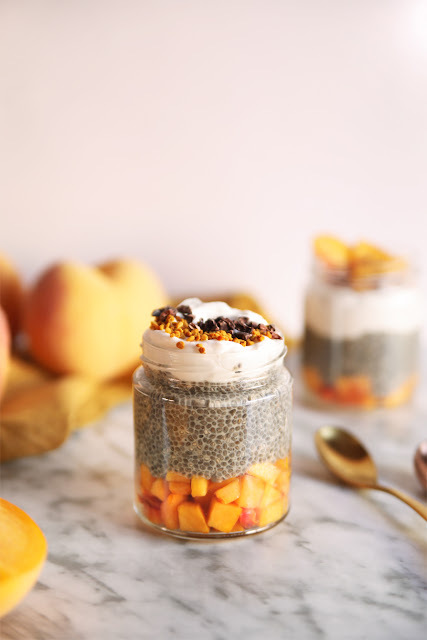 · Scoop out the thickened cream and set aside the liquid part (you can use it to make yummy smoothies!). · Beat with a mixer until it starts to look fluffy and then add in vanilla extract and the desired amount of confectioner's sugar, stop and taste to adjust the sweetness. Si té la meitat de bon sabor que la pinta que fa... ha de ser extraordinari!! Mira que n'arribo a aprendre jo de coses: la quinoa amb pols? No s'havia que es podi a trobar quinoa instantània... :) Merci!